How to Reduce Your Hips and Thighs using a treadmill? You must be dying to woo your beloved with your killer looks. Since, you have put on vacation weight the dress you’re planning to wear on the D-day isn’t fitting well, right? Then, my friend, it is time to get back to your daily schedule, tighten up your belt and hit the gym sharp at 6 in the morning. The best way to get rid of the kilos is doing cardio. More or less, cardiovascular exercises are the wholesome solution for your body. Running on a treadmill for 60 minutes a day can do wonders to your body and how. It is easy to use, comfortable and can be done anywhere, provided you own a treadmill. Whether it is your office, house or the gym itself, treadmill makes exercising more fun and effective as well. Running or walking on a treadmill can not only strengthen your core muscles but gives you a great physique and posture. Experts have opined that running on a treadmill tones and strengthens the legs, strains the quadriceps and Glutes. It can be even better if you do it with proper care and concern. Treadmills are the best if you’re aspiring to reduce fat from your body. The reason being, running on a treadmill helps you burn calories which is the prime requirement for fat reduction. Of course, your diet plays an important part in fat reduction. Thus, eating healthy and on time too affects the process of losing fat from hips and thighs. Start with the warm up. Walk or run on a very slow pace for 5 minutes, say on 3.0 mph or less. This is to prepare your body for a rigorous workout session. A normal 60-minute treadmill workout session can burn 500 calories in one go. 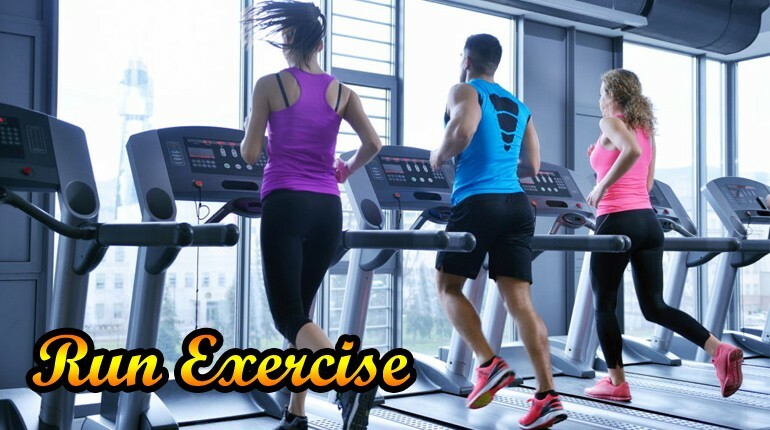 Raise the incline by 1-2 % or more if you’ve been using treadmill for a while, you can set it up as per your own strength. As far as beginners are concerned, don’t rush. Take it easy and start by going slowly. After a few minutes speed up your run so as to burn more calories. Walking on an incline will help you shed off the extra fat from the hip and thigh area. The higher the incline, the more calories are burnt. Since, fat reduction is based on caloric burning process, walking on a hill or incline will help in slimming the hip and thigh area. Walk like this for half an hour or something in the same manner. Choose a speed which makes you sweat more. The fat oozes out from the body in form of sweat. Therefore, do as much exercising as you can. Decrease the speed immediately if you feel it’s making you unable to talk properly. Inculcate the walking and running intervals. Coordinate in such a way that it enhances your workout. Say, walk and run on a speed of 3.0 mph and 4.0mph respectively for a minute each. Similarly, incline the treadmill for a minute at 4-6% and then walk on flat zero for a minute. It would enhance your strength and endurance. Slow down and relax for a couple of minutes. Walk at a relatively slower pace or decrease the incline. Do it throughout the week for 30 minutes and gradually increase your duration. Increased duration will help you burn more calories. Switching up the sides and running on both the sides adds up to your transformation process. It might look a bit weird to your fellows but it’s effective. It helps in strengthening glutes, hip muscles and enhances flexibility too. It is indeed worth trying, at least for once. Conclusion – Running or walking on a treadmill is a win-win deal for you because it affects your overall body and does wonder to your physique too. Provided, it is done the right way; In addition to this, including all kinds of fruits and vegetables in your regular diet will also boost up the fat reduction process after all, we are what we eat, right?